Siteseeker is the most comprehensive campsite guide in the UK. With more than 420,000 copies sent out, 3,000 sites listed and a two-year life span, it is the most effective way to reach more than half a million passionate campers. 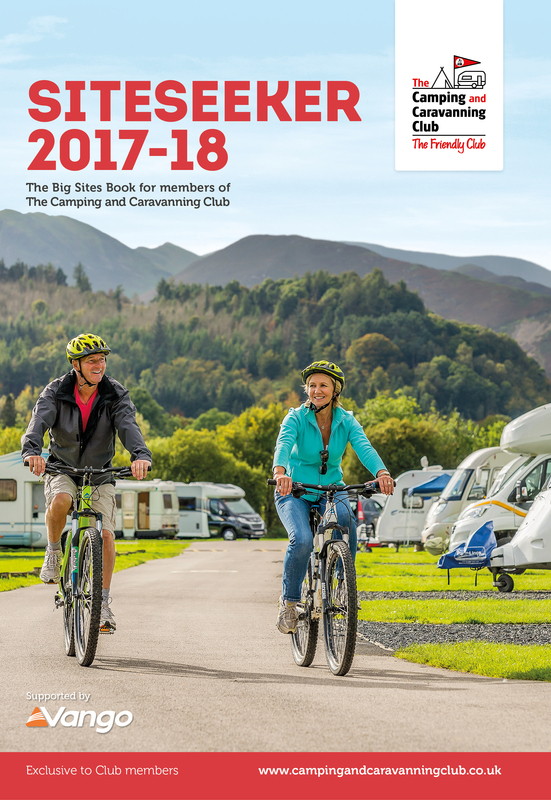 The next book is delivered to members* of the The Camping and Caravanning Club and to members* joining from January 2019 to December 2020. Siteseeker is consistently cited as one of the key benefits of Club membership. Include your site: If you are a campsite owner there is no better way to promote your business. Contact the team today to discuss the options. We have a number of exciting and cost effective opportunities to enable you to market your campsite, products, services or brand to this active and loyal membership.